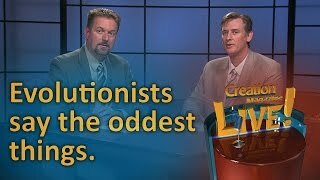 Anyone reading creationist literature for a few years soon becomes aware that we often use quotes by evolutionists which discredit their own belief system. This raises the ire of many in the evolutionary establishment, and often they will accuse creationists of ‘taking their remarks out of context’. This is rarely the case. However, one can imagine that the spectre of condemnation from fellow evolutionists would these days tend to limit any careless remarks from the pro-evolutionary camp. One of the most famous and widely circulated quotes was made a couple of decades ago by the late Dr Colin Patterson, who was at the time the senior paleontologist (fossil expert) at the prestigious British Museum of Natural History. So damning was the quote—about the scarcity of transitional forms (the ‘in-between kinds’ anticipated by evolution) in the fossil record—that one anticreationist took it upon himself to ‘right the creationists’ wrongs’. He wrote what was intended to be a major essay showing how we had ‘misquoted’ Dr Patterson.1 This accusation still appears occasionally in anticreationist circles, so it is worth revisiting in some detail. ‘Yet Gould [Stephen J. Gould—the now deceased professor of paleontology from Harvard University] and the American Museum people are hard to contradict when they say there are no transitional fossils. … You say that I should at least “show a photo of the fossil from which each type of organism was derived.” I will lay it on the line—there is not one such fossil for which one could make a watertight argument.’3 [Emphasis added]. Transitional fossils are the remains of those creatures which should be found ‘in-between’ one kind of creature and another kind. For example, evolutionists have long sought the ‘missing link’ between ape and human—some sort of half human/half ape intermediate form. None has ever been found, though many candidates have come and gone. Amplified, no doubt, by the lure of prestige, fame and fortune, the desire to discover such a fossil has led some even to fabricate evidence, such as with the famous Piltdown Man hoax. In that case, though the perpetrator has never been definitively identified, a human skull was ‘planted’ with an ape’s jaw which was crudely ‘doctored’. 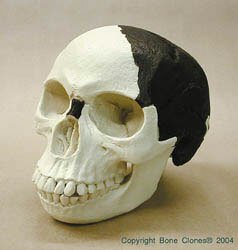 The result fooled the world for decades into thinking this was proof of human evolution. Evolutionists have been strongly pushing the idea that dinosaurs turned into birds. Museum displays, complete with artistically imagined creatures halfway between a dinosaur and a bird give the impression that such animals are fact. 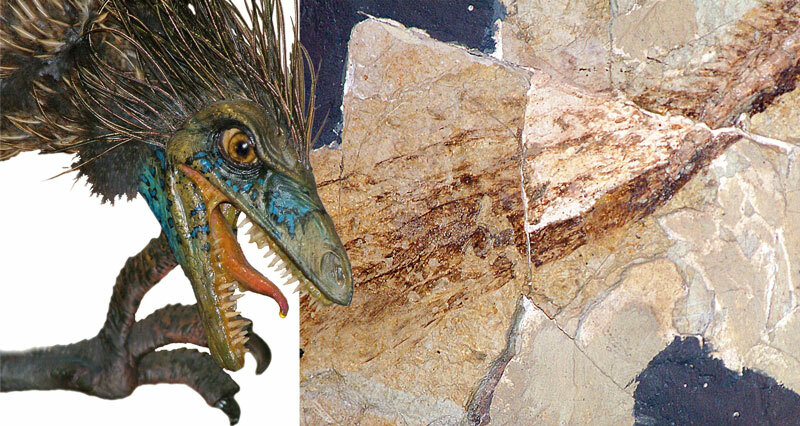 Fossils such as the one above right have markings which evolutionists have interpreted as feathers, though others strongly disagree. Well, precisely. So why have evolutionist textbooks almost universally and dogmatically declared Archaeopteryx to be an obvious transitional form? But the issue goes deeper. Patterson’s ‘revision’ seemed to be claiming (or at least it was in the way the sceptic tried to highlight it) that all he meant with his original quote was that it is impossible to determine whether any ‘candidate’ fossils (ones that might have the appearance of transitional forms) actually were real transitional ones—not that there was a scarcity or absence of inbetween forms in the fossil record. In other words, they might look like missing links, but how can one know for sure? 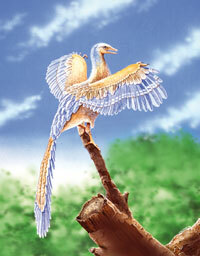 The fossil bird Archaeopteryx (above) had fully functional wings and feathers, and true birds are ‘dated’ as older. 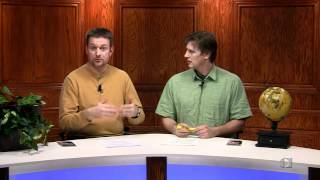 Even some evolutionist experts deny it is a ‘link’. However, to suggest that this was all he was saying is really impossible to square with the words of the quote itself. Note, for example, how Patterson referred to comments by Stephen J. Gould and ‘the American Museum people’ who are well-known to have specifically admitted the rarity of transitional forms in the fossil record. They actually proposed a theory of ‘evolution in jumps’4 to explain away the fact that links seemed to be absent. So if one rereads the original Patterson quote above, it is clear that it is perfectly legitimate to use it to highlight this ‘extreme rarity of transitional forms’ in the fossil record. Otherwise, the reference to Gould is meaningless. Note that Gould et al. 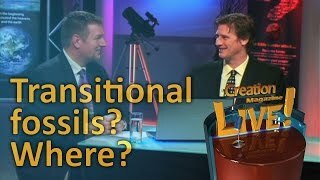 were committed evolutionists; even interpreting the record through evolutionary eyes, they admitted that it was ‘extremely rare’ to find transitional forms, not that it was impossible in principle! Creationists would of course claim that there are none, except within a created kind. But even candidates for transitional forms are clearly so rare that Patterson was able to refer to Gould et al. as saying that there were (for all practical purposes) ‘no transitional fossils’. Yet a straightforward understanding of neo-Darwinism would suggest that there were many more transitional forms than the ‘end’ forms we see today. So one would expect ‘transitional’ fossils to dominate the record. This 1925 edition of a London newspaper reports on the then recent ‘discovery’ of an alleged ‘missing link’ between humans and apes, the ‘Taung child’. See Creation 28(4):38–40, 2006. ‘It is easy enough to make up stories of how one form gave rise to another, and to find reasons why the stages should be favoured by natural selection. But such stories are not part of science, for there is no way of putting them to the test.’ [Emphasis added]. Evolutionists often make these kinds of frank admissions among themselves. But they are generally ‘not for publication’ as public dissension is regarded as being traitorous to the cause. He seems to be saying that it’s OK to doubt as long as we don’t let the creationists know. Being a world-renowned fossil expert, Patterson’s frank admissions were embarrassing to adherents of the ‘religion of evolution’—including himself, it would appear. But there were even more devastating revelations to come from Dr Patterson. ‘ … I’m speaking on two subjects, evolutionism and creationism, and I believe it’s true to say that I know nothing whatever about either … One of the reasons I started taking this anti-evolutionary view, well, let’s call it non-evolutionary, was last year I had a sudden realisation. Although these are only excerpts from Patterson’s very frank and startling lecture that evening (the full text is even more revealing), it is plain to see the doubts he was having. It also shows that creationist usage of such quotes by Patterson does not amount to ‘creationist foul play’. Dr Patterson’s penchant for openness did not do him any service with the pro-evolutionary scientific establishment, who often expressed anger and dismay at his comments when they could not make excuses for them. His experience and expertise as holder of one of the most prestigious scientific posts in the world did not grant him immunity from pressure for having dared to express doubts about the evolutionary worldview. It is a sad reminder that political and ideological correctness can be more important than any so-called ‘objective facts’ in determining scientific acceptance of an idea. Theunissen, L., Patterson misquoted, 13 July 2005. Return to text. Patterson, C., Evolution, The British Museum of Master Books, Natural History, London, 1978. Return to text. Sunderland, L., Darwin’s Enigma, Master Books, Arkansas, USA, pp. 101–102, 1998. Patterson’s letter was written in 1979. Return to text. Called punctuated equilibrium—the idea that evolutionary changes do not tend to take place gradually and continually in the main population over long time periods, but in (relatively) short bursts in small isolated populations which will therefore be less likely to be fossilized. This notion would not have been invented if not for the fact that the fossil record does not fit the predictions of Darwin and subsequent evolutionists. Their evolutionary opponents unkindly referred to it as ‘evolution by jerks’. See also Batten, D. J., Punctuated equilibrium: come of age? Journal of Creation 8(2): 131–137, 1994. Return to text. Stephen Jay Gould, Evolution’s erratic pace, Natural History 86(5):14, May 1977. Return to text. Can you tell me anything … about evolution?, 14 July 2005. Emphasis in transcript, not necessarily reflecting oral emphasis. Return to text.